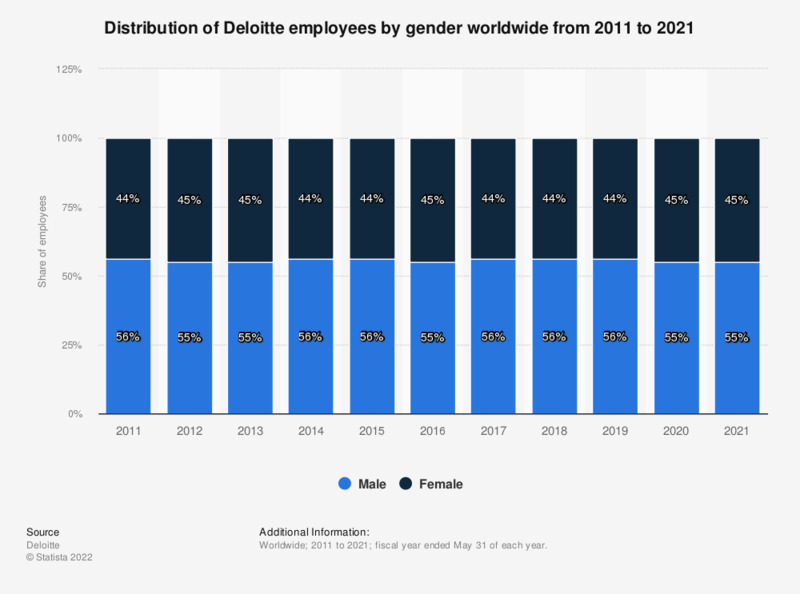 This statistic shows the share of Deloitte employees by gender worldwide from the fiscal year of 2011 to the fiscal year of 2018. In the 2018 fiscal year, 44 percent of Deloitte employees were female. * "Deloitte" means Deloitte Touche Tohmatsu Limited and its member firms.